A historic day of voting for Britain and the rest of Europe has begun. What will happen on the day of the British referendum and the days that follow? 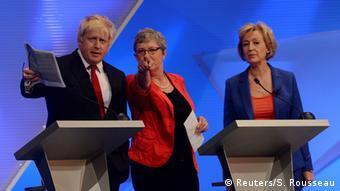 Barbara Wesel (London) and Bernd Riegert (Brussels) report. Polls have opened in the UK’s highly anticipated referendum to leave or remain in the European Union. Record numbers of voters have registered to cast their ballot, and turnout is expected to be extremely high. The arguments on both sides have focused on immigration and finances, with both camps saying it will be better for Britain’s economy if they win. Here is what the day will look like as Britain decides its future in Europe. The result of the referendum is directly related to turnout. The more people who vote, the better the chances for the “remain” camp. It is expected that most of those voters who are against remaining in the Union are very likely to turn up to cast their ballots. “People have told me that they would crawl over broken glass to be able to cast their ‘leave’ vote,” claims Nigel Farage, who is fighting for Brexit with his anti-European UKIP party. The London Stock Exchange opens. In the event of Brexit, the British pound, as well as stocks, could come under extreme pressure. Some experts predict a “Black Friday” could follow the vote. In Brussels, EU officials, commissioners and parliamentarians will be keenly watching the referendum. But Thursday is a normal workday, so their policy is “business as usual.” In the morning, Martin Schulz, president of the European Parliament, will greet the president of the Palestinian National Authority, Mahmoud Abbas. In the afternoon, the Palestinian leader will address European MEPs, including those from Britain, at a formal sitting. Most of Britain’s 73 MEPs, however, have been campaigning for either the “remain” or the “leave” camp and will be anxiously awaiting returns in their home districts – their jobs, too, hang in the balance. Media outlets will be on hand with cameras rolling as Prime Minister David Cameron and top Brexit campaigner Boris Johnson cast their votes. The goal of the publicity stunt is to motivate as many people as possible to get out and vote. Prominent politicians traditionally cast ballots in their home districts. Cameron and Johnson both want to be as present as possible in the midday news coverage. Actual campaigning ended on the night before the vote – no more public appearances are scheduled for the day of the referendum. The European Commission’s daily press conference will take place, at which the press secretary will say: “We will await the result, and react accordingly,” or words to that effect. The president of the European Commission, Jean-Claude Juncker, has always been a proponent of Britain remaining in the EU. 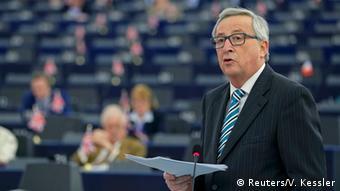 The European Commission has reported that Juncker will greet the president of Israel on “B-Day,” and that “he will be very busy until late into the night.” Juncker’s press secretary has said that the president will not resign in the event of a Brexit. Polling stations in all 382 voting precincts close. Unlike normal elections, there will be no exit polling of voters. The referendum is unique in this sense, and electoral researchers have no comparative data from previous referendums with which to make predictions. Some hedge funds, however, will be conducting private exit polls in hopes of getting an early idea of the outcome. They will stake enormous amounts of money on a rising or a falling pound depending on how voters cast their ballots. The first results are expected to be announced in Sunderland, in the northeast of the country. As per tradition, votes are counted by hand. Throughout the course of the night results from more and more voting precincts will be announced and tallied. By early morning about 50 percent of the votes should be counted, and trends should become visible. But individual results could give false impressions at this early stage, for instance in university towns like Oxford and Cambridge, where a strong pro-European vote is expected. Depending on the breadth of the opinion gap between the camps, it could be hours before any reliable result emerges. The closer the vote, the longer the counting will have to go on. Stay, or go? This is when the final result is expected. It could perhaps come a bit later though, should the vote be too close to call. At that point, absentee ballots will have to be completely tallied. Shortly afterwards, Cameron will deliver a statement in London. He has said that he will not resign even in the event of a Brexit. Should Britons decide to remain in the EU, Cameron will be faced with the dfficult task of bringing his deeply divided country, and party, back together. The trenches that were dug throughout the course of the months-long campaign are deep. Despite his promise, if the Brexit camp wins, he will only be able to remain in office as a transitional leader. The fight for the leadership of his Conservative party and claims to be his successor have long started behind the scenes. Leaders of the European Parliament’s political factions will meet in Brussels to discuss the result of the referendum. The majority have expressed a desire to pursue a quick separation from Britain in a worst case scenario. A year should be sufficient time to unwind EU contracts and organize a withdrawal. 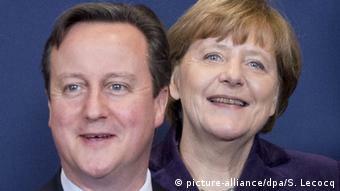 It is unclear, however, how long it will take to create a new relationship between Britain and the EU. Will Britain be a normal non-member country like the United States or Saudi Arabia? Will it receive special partnership status? Or, will it perhaps join the European Free Trade Association (EFTA), like Norway and Switzerland, with the obligations and privileges that this would entail. 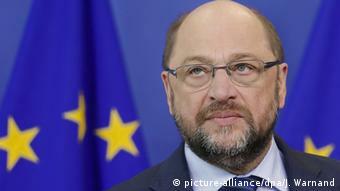 Martin Schulz will be the first top representative from Brussels to step in front of the cameras and comment on the result. The three presidents of Europe’s largest institutions – the Commission, Council and Parliament – meet for consultations. Following the meeting, Juncker, Donald Tusk and Schulz are expected to answer the question: What now? Of course phonelines between Brussels and the capitals of Europe will be white hot with activity. Berlin and Paris have prepared a joint statement. Poland may also join them. In Luxembourg, the EU General Council will gather for a special meeting. The council, which normally consists solely of state secretaries and other officials, is to prepare its conclusions for decisions to be made at the EU summit the following week. These decisions will prepare the path for Britain and the EU in the wake of the referendum: Will there be a quick and bloody divorce, a long period of negotiations or will things remain as they are? In light of the special circumstances German Foreign Minister Frank-Walter Steinmeier will fly to Luxembourg personally. The foreign ministers of the six nations that signed the “Treaty of Rome,” founding the European Union in 1957, will meet in Berlin or Brussels. Ministers from the Netherlands, Luxembourg, France, Italy and Germany want to consult about what must happen with the EU in the event that the UK withdraws: Further intensified cooperation, a loosening of the same or the formation of a new core Europe consisting of these six countries? The German-French tandem, the so-called heart of the EU, will have to step up: Angela Merkel and French President Francois Hollande want to meet in either Berlin or Paris. They have to find answers and prepare for the coming meeting of heads of state and government at the EU summit. The Council of Europe, comprised of the heads of state and government from the EU’s 28 member states, will convene in Brussels. 28? Perhaps Cameron might not come at all, or simply in a managerial capacity should his people have decided to leave. Should they vote remain, however, then he might as well show off a bit and demand the expansion of Britain’s special status in the EU. Then the EU would definitely enact the plan that it drew up at a special summit in February: The goal of an “ever closer Union” will be crossed out in deference to Britain. Social benefits for EU citizens living in Britain would be cut. And the European Economic and Monetary Union, of which Britain is not a member, will be expanded in such a way as not to effect the financial center of London.